Have you fallen short of ideas to stand out while wearing a dress shirt? You aren’t alone! This is a common issue amongst men who have to wear dress shirts everyday to work! Some of them have to change their choice of shirt due to the change in weather, while the others just give up on style and dress almost the same way to work every day. Are you the one who gives up? Don’t! Underrated, but the most essential accessory when wearing a dress shirt – cufflinks! They provide that extra touch to your appearance and provide an elegant look. There are different cufflinks for formal and informal events. While most of the cufflinks are designed to wear to work or corporate events, some of them can also be worn to weddings or other social events like get-togethers or dinners. Available in different colours, metals and stones, select the pair of cufflinks which matches your shirt and fits your personality perfectly! What else can grab a person’s attention than a classy and complementing tie? A huge number of ties are available – in different colours, designs and materials, so you certainly have a wide variety to choose from! 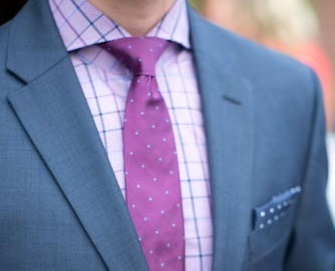 While you can experiment with different ties, trying different tie knots will also help. Get rid of the traditional and common tie knot, and learn how to tie trinity or eldredge knots. So technically, it’ll be the same dress shirt, but with a very different look! Tie without a tie pin? Everyone does that! How would you stand out, then? 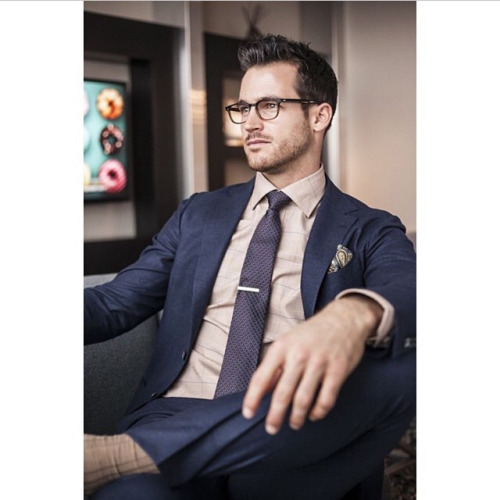 Don’t commit this common mistake and make sure that you wear a tie clip with a tie. Enhance your look with this simple yet stylish looking accessory to create a style statement. Get noticed by including this touch of class! Collar pins are usually not a common option and consideration as an accessory when dressing up. A lot of people ignore it – thinking it’s not essential! They’re wrong! Collar pins are important in holding two ends of the collar together, giving your shirt a smart look and enhancing your appearance. Need a pair of cufflinks to go with your dress shirt? 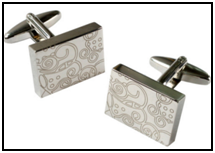 We, at AusCufflinks offer a wide range of cufflinks at guaranteed low prices! Click here to view the different types of cufflinks offered by us.